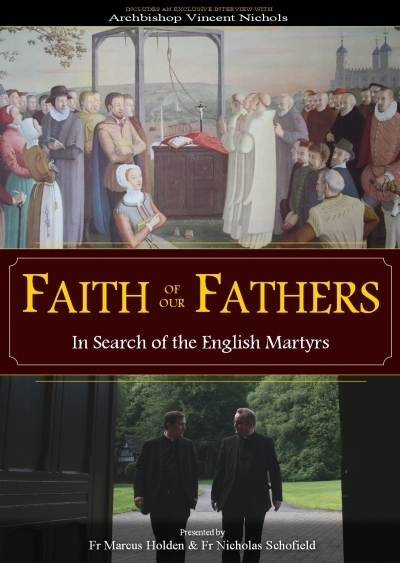 St. Anthony Communications has brought out a new DVD about the English Martyrs. Featuring Fr. Marcus Holden and Fr. 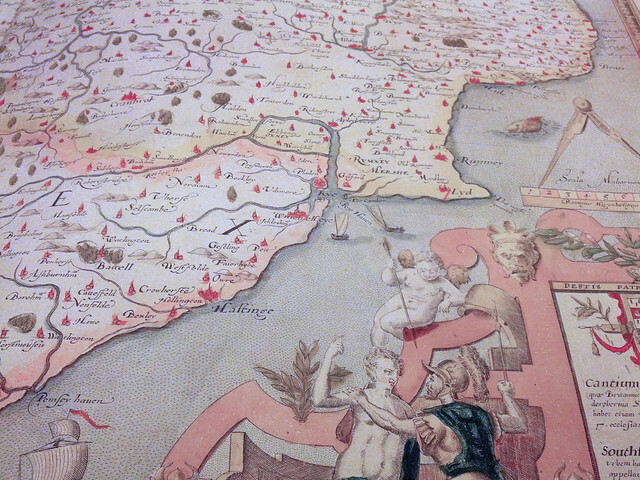 Nicolas Schofield, the film is rather like an account of a personal pilgrimage made by the two priests... it reminds me of the pilgrimage I made with Joanna Bogle a few years ago, to find out more about my patron saint, St. Anne Line. It was a fascinating film, though I have to confess to being a little disappointed in not being treated to more stories of the martyrs themselves - however, the constraints of time probably prevented much being done. Maybe we will be treated to more in-depth analyses of the saints in future. Christian Holden, brother to Fr. Marcus Holden, directed the documentary, and wrote an article about it for the Catholic Herald. In it, he explained that the stories of the martyrs were more important than ever in the current climate of increasing hostility to the Faith. I must confess a vested interest in the success of this DVD - not that I get royalties - but some of my photos from the Chapel of the Venerable English College, Rome, were actually used in the DVD: the mosaics of the deaths of the martyrs at Tyburn and a couple of the maps used by the newly-ordained priests when planning their return to England featured in the film. I even got a mention in the credits (along with very many others!) I feel incredibly proud that my photos were good enough to be used in the DVD, especially since I'm not a professional photographer, and it has encouraged me to continue to snap away and make the photos available on Flickr. And if they have sparked your interest, you can buy the whole DVD from St. Anthony Communications. With a slight sense of horror, I realised that it has been nearly two weeks since I last posted anything. It didn't feel as long as that, and I'm very tempted to remove the dates from my blog posts so that I can't be made to feel quite so guilty of neglect... In my defense, I've been busy, but only with boring, everyday "stuff" which doesn't provide any useful blogging material, however it helps to keep the kitty cats and myself fed, and so is of paramount importance. 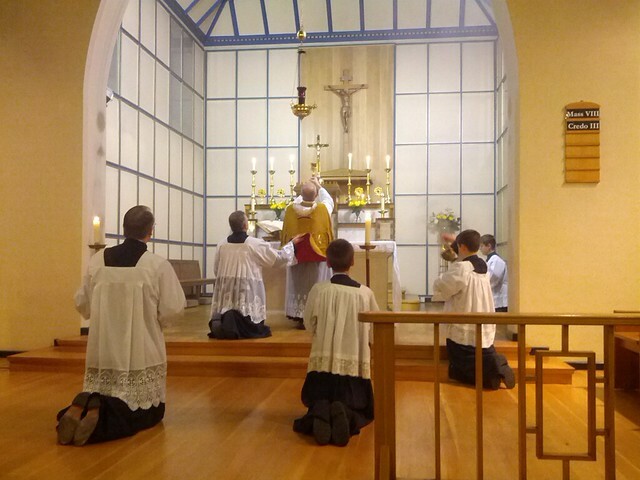 One little ray of sunshine broke through the mundane gloom - we had the opportunity to have a Solemn High Mass to celebrate the occasion of our parish's Patronal Feast. The group Cantores Missae sang Victoria's Missa Ave Maris Stella for the Ordinary of the Mass, then Guerrero's Ave Maria at the Offertory, Victoria's Pange Lingua at Communion, and they finished up with Schubert's beautiful Salve Regina. It was a real treat, though I felt terribly decadent being out late on a weekday evening. I did manage to get a few photos and they are now up on my Flickr page.